At the end of this contract, you will return the vehicle. This is a rental and so you do not take ownership of the car. For further information on the Hyundai KONA or if you have any questions about the offer shown above, please contact our sales team at our Dundonald dealership on 028 9048 4850 or the enquiry button above. 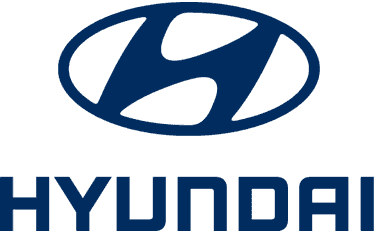 Charles Hurst Limited and Charles Hurst Motors Limited are the advertisers of this offer and will introduce the customer to Hyundai Capital UK Ltd TA Finance, RH1 1SR. Initial rental in advance shown inclusive of VAT, followed by 47 monthly rentals at rental shown, inclusive of VAT, commencing in month two, payable by direct debit. May be subject to further charges depending on the condition/mileage when vehicle returned. In the event of an order cancellation, you will be liable for such costs to be confirmed to you in writing, All other terms and conditions are as per the master hire agreement or customer agreement between yourselves and Hyundai Capital UK Ltd TA, RH1 1SR, the owner of this vehicle. Maximum miles per annum is 8,000. Maximum mileage is 32,000 over the 48 month contract duration. Excess mileage charge of 5.41p per mile, will become applicable if the vehicle has exceeded the agreed contract mileage at the end of the lease period. The contracted mileage will also be pro-rated in the event of any early termination of a contract. However, the contract mileage and term of the lease can be amended at any stage during the lease as long as there are at least 6 remaining monthly rentals due. All details are correct at time of publication and are subject to change without notice. All rentals and excess mileage are inclusive of VAT and are subject to vehicle availability, credit approval and manufacturer's price changes.Offer may be varied, withdrawn or extended at any time. Failure to make rentals may affect credit rating. Written quotations are available on request. Guarantees/indemnities may be required.